Between work, family stuff and life in general, Mark and I have been running around like headless chickens. Instead of going to a friend’s Oscar party, we opted to stay home and watch them. 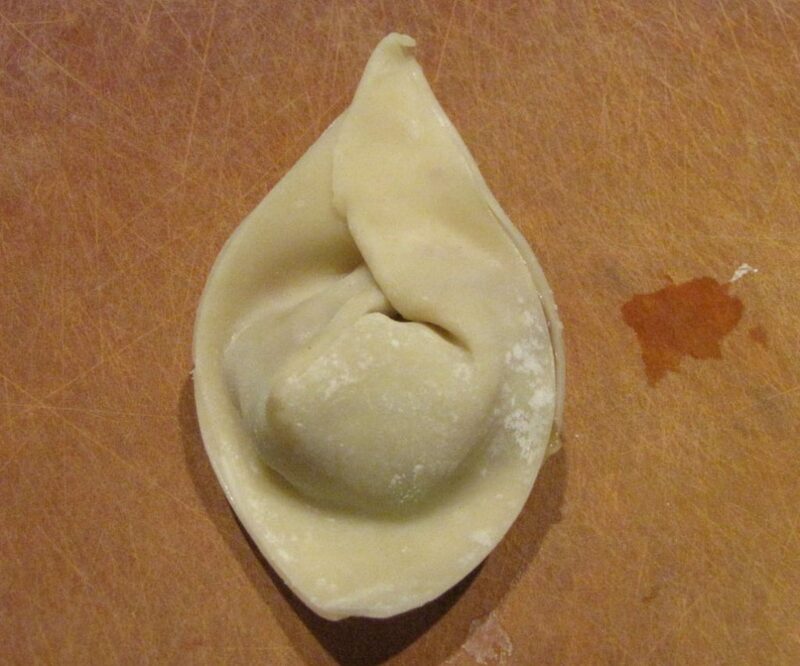 To make things a little special, we made pot stickers. 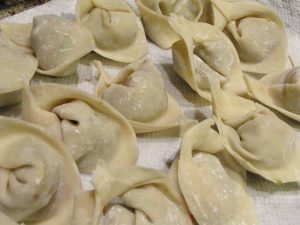 Spending time together in the kitchen making these little Chinese dumplings was a great way for us to spend time together and reconnect. Pot stickers are a little time consuming but oh so worth it. 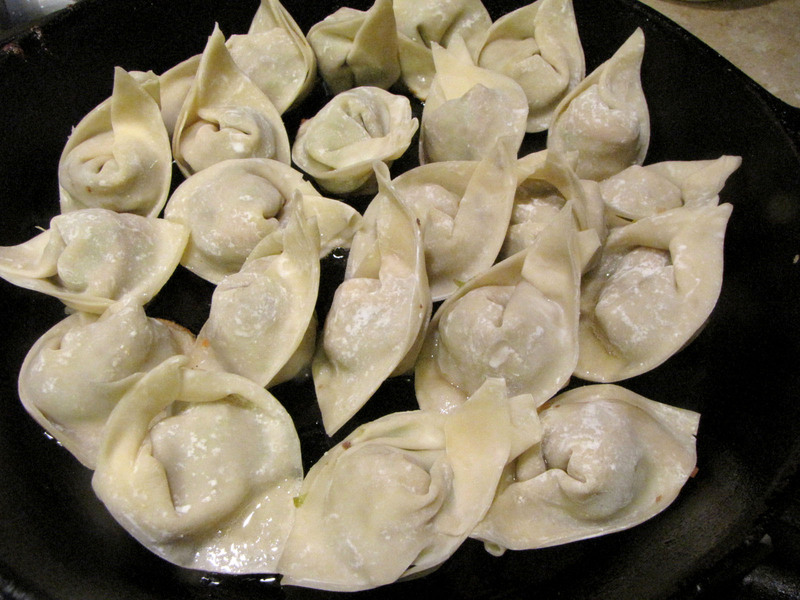 There are three steps – making the filling, wrapping the little dumplings and then pan frying/steaming. From start to finish, it took us about an hour. But, hey, it was date night in so all we had was time. Here’s what we did – step by step. I’ve included the complete recipe at the bottom of the post so you can print out all the details. 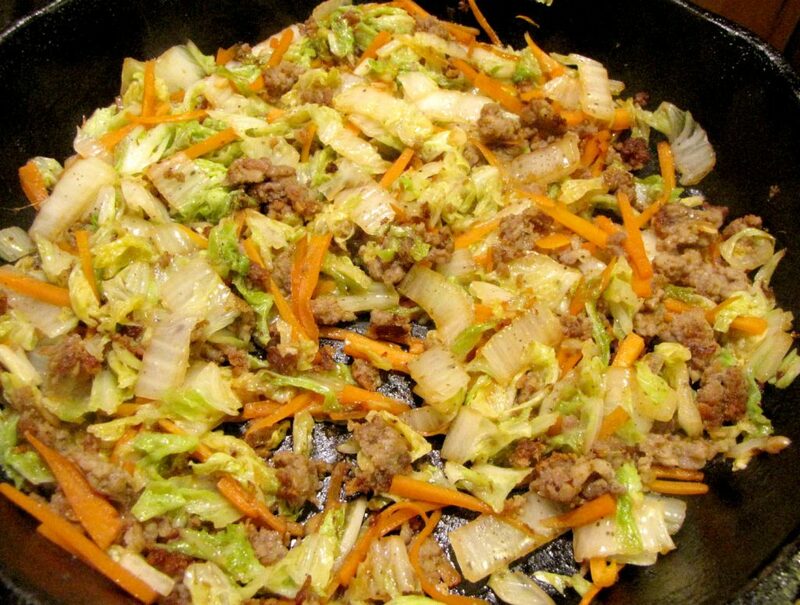 We made the filling with just a few ingredients – Jones Dairy Farm Original Pork Sausage, Napa cabbage, carrot, garlic, ginger, oyster sauce, soy sauce and sesame oil. 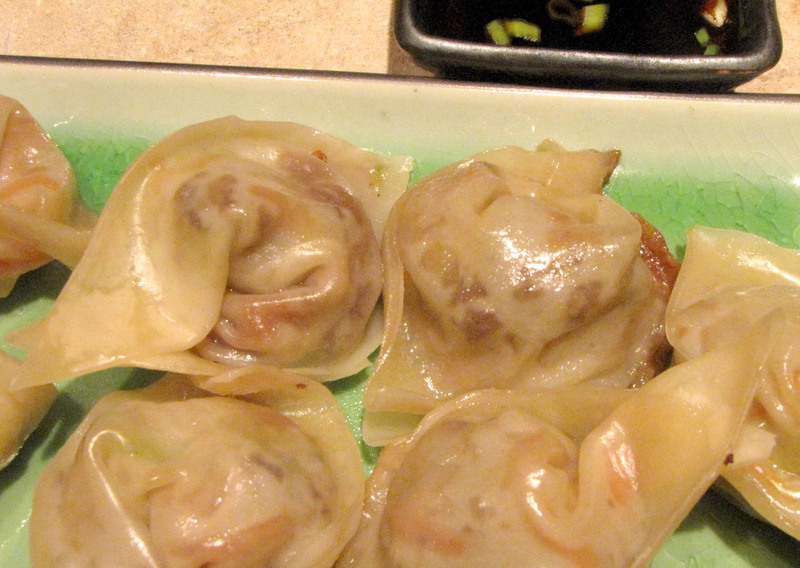 You can fill the pot stickers with just about anything. Just be sure to cut up everything into bite sized pieces. 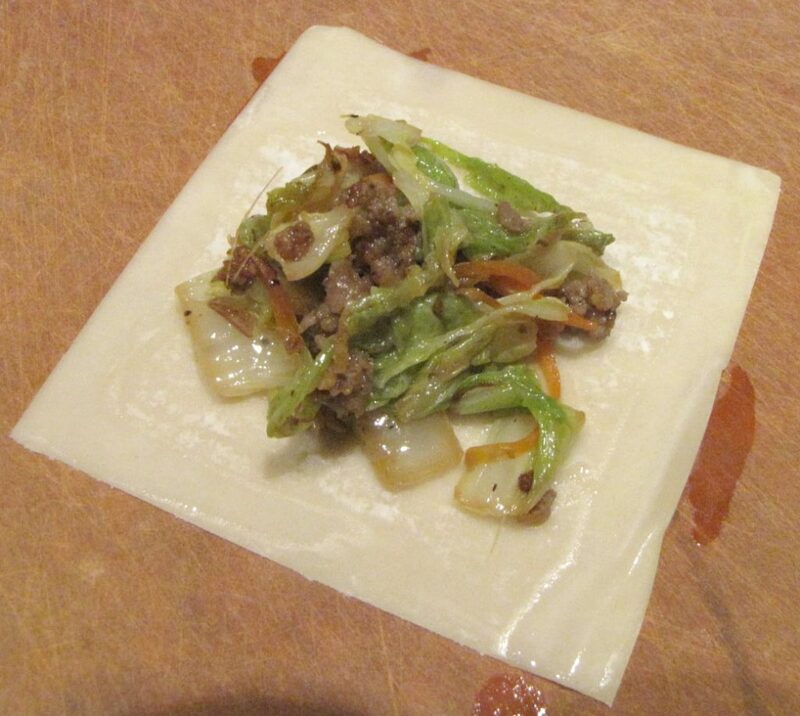 Brown the sausage, add the veggies, sauces and a few drops of sesame oil. Cook till just tender. Let the mixture cool. It was about 10F outside, so I just put the skillet outside for 15 minutes. 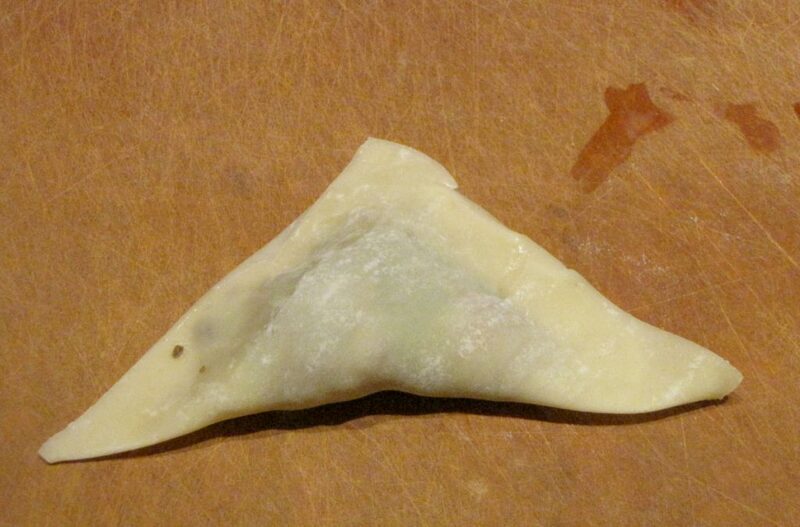 Next we made our little pot stickers. 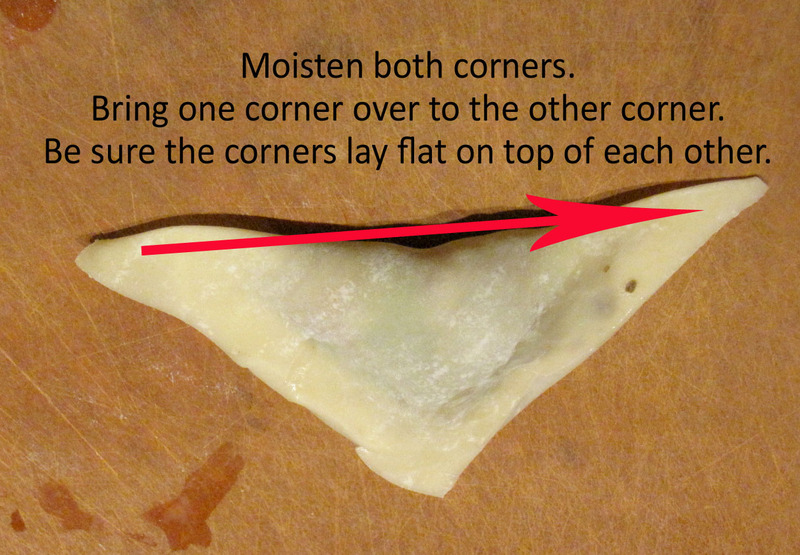 Place about a teaspoon of filling in the middle of each wonton wrapper. Moisten the edges. With the point towards you, moisten the points away from you and place one on top of the other so it’s laying flat. And this is what you get. It took us a few tries to get it right. 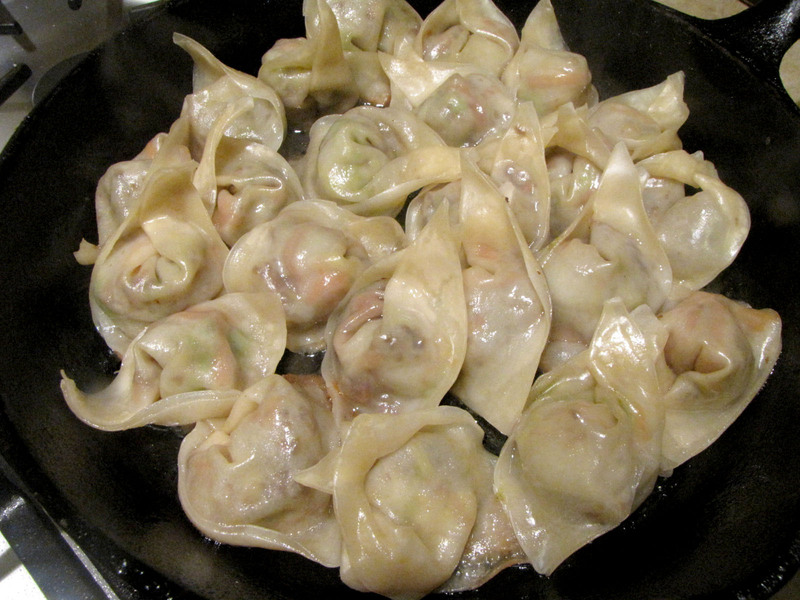 Place the pot stickers on a moistened tea towel or paper towel. 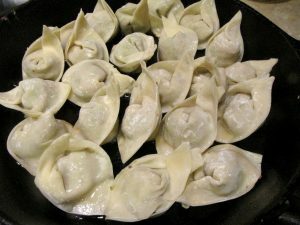 In a large non-stick skillet with a lid (I use a cast iron pan), add just enough vegetable oil to coat the bottom and place the dumplings in the pan. When the dumplings start to brown on the bottom and stick to the pan, add just enough chicken broth or water to cover the bottom about 1/4″ then quickly cover with a lid and reduce the heat. Let the dumplings steam for 3-4 minutes. Remove the lid and this is what you get. And here they are in all their glory. We ate ours with a little soy sauce with wasabi and scallions. These were totally worth the effort. Now we’re spoiled. No more take-out for us! 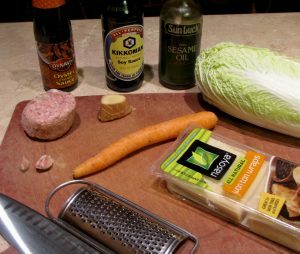 Pot stickers made with pork sausage, Napa cabbage, carrots, ginger. Main course for two or as an appetizer for 4-6. Add the cabbage, carrot, ginger and garlic. Cook till just tender over medium high heat, about 4-6 minutes. Add the sauces and sesame oil. Cook another minute. Make the dumplings, folding into whatever shape you like. A simple triangle is just fine. 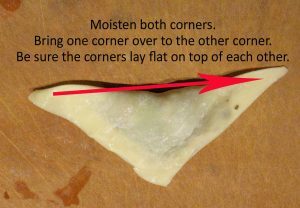 Place on a moist tea towel or paper towel while filling them. Heat a nonstick pan over medium high heat with just enough vegetable oil to cover the bottom. When they start to brown and stick to the bottom, add the chicken broth or water and quickly cover. Reduce heat and let steam for 3-4 minutes.